February 6, 2017 February 6, 2017 by Beau H.
Dressed with brewery-hopping in mind. Indigo Plaid Shirt by Abercrombie & Fitch., 505C Denim by Levi’s. Sutter Boots by CAT Footwear. Waterbury Chrono by Timex x Red Wing Heritage. Stocking cap by JackThreads. Glasses by Frameri. It’s not every weekend that I get the chance to head back to my home state of Michigan — and that’s normally not the case during the busy fashion week season in New York City. But as luck would have it, the fashion calendar was on my side this time around, and that presented the perfect opportunity for another Style Guide road trip to the beautiful Mitten State. Coming off a whirlwind four days in New York City checking out the illustrious New York Fashion Week: Men’s, a trip back to Grand Rapids was just what the doctor ordered. It was a fun — if chilly — weekend filled with brewery tours, visits with friends and the birth of my brother’s two daughters (so, my two new nieces!). It was definitely a happy scheduling coincidence that worked out perfectly! Of course, I dressed to meet the cold, and as always, I was more than happy to bring along my favorite #menswear for the trip, too. Travel essentials fit for hitting the road and fighting the cold. Chamois Shirt by Abercrombie & Fitch. 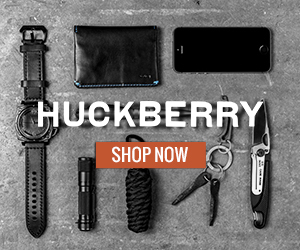 Explorer’s Cap by Huckberry. Messenger bag and 810 Wallet by Brothers Leather. Calypso Watch by MVMT Watches. miUSA 585 Sneakers by New Balance. Magazine by Gear Patrol. If you’re a dedicated Style Guide reader, it should come as no surprise that I was more than able to pack up my Owen & Fred Voyager Waxed Weekender with all the rugged winter accessories needed for a weekend with temperatures in the teens. My packing haul included handy pieces like my Brothers Leather Supply 810 Wallet — fitting given the company’s Grand Rapids headquarters — plus the brand’s durable and effective Roma Messenger. Having recently tested out that gear during my birthday weekend in Brooklyn, each piece proved more than ready for a quick flight out of NYC. I packed up some trusty men’s grooming essentials in my Herschel Supply Co. Chapter Travel Kit, too. And with travel style and effective cold-weather gear in mind, I layered a comfortable, slim-fitting Abercrombie and Fitch Chamois Shirt with the soft, breathable Flint and Tinder Marled Long-Sleeve Henley – it’s a durable and rugged combo. I finished off that ensemble off with a pair of reliable, warm Abercrombie and Fitch denim. For a mix of versatile style and surprisingly good traction on the icy streets, my Danner x New Balance miUSA 585 Sneakers proved tough and effective, while my Huckberry Explorer’s Cap is a new travel favorite. In all, the winter travel ensemble worked like a charm for my afternoon arrival in Beer City, U.S.A. I quickly followed my flight with a few tasty, rich beers with friend and fellow Michigan State alum Jesse O’Brien at the massive, recently opened Knickerbocker Brewpub and Distillery, the new Grand Rapids outpost of New Holland Brewery. Just a tip: The Polish Pepperoni Pizza isn’t a bad match with the bourbon barrel-aged Dragon’s Milk Stout. You can’t go wrong with The Poet, the brewery’s oatmeal stout, either. Given that I needed a bit more sustenance to go along with my craft beer, dinner with my close high school friends was in order at the famed DNKY, a Mexican taqueria known city-wide for its delicious, ample selection of tacos – you can’t go wrong with the Gringo Taco. Crucially, I didn’t even have to change out of my travel outfit – that’s what you call versatility. And the nearby ELK Brewing made for a good, quiet nightcap. Of course, those Friday night stops were just the tip of the beer-hopping, city-exploring iceberg with my oldest friend, runner extraordinaire and craft beer aficionado Mr. Chris Spyke. For a day around Grand Rapids, I layered up with the warm, vintage-inspired Johnston and Murphy Faux Shearling Aviator – it’s not too dissimilar from wearing a cozy blanket, really. It worked nicely to layer over my new Abercrombie and Fitch Indigo Plaid Shirt, an unexpected offering from a brand that continues to up its menswear game. My reliable-as-ever Levi’s 505C Denim provided a bit of edge that fit right in with the city’s craft beer scene, and I found myself reaching again for my rugged CAT Footwear Sutter Boots. That was I able to finish the look off with some stylish winter accessories from JackThreads was crucial given the cold. The day took us first to Slate Clothing, a new contemporary menswear store breathing some life into the city’s retail sector. 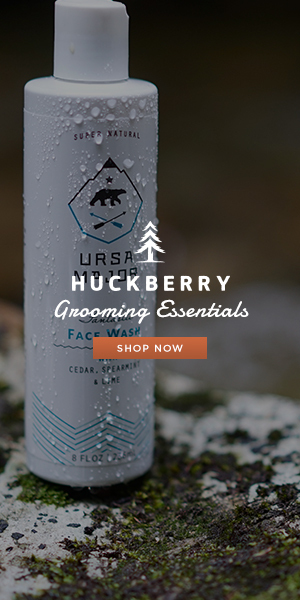 With a diverse range of brands – from the minimally inclined VINCE to the rugged Filson and easygoing, classic Life/After/Denim – the selection is worth your time if you’re in Grand Rapids. You can even pick up some essential home goods while you shop for your new favorite casual shirt, too. Again – put it on your shopping list in Grand Rapids. The same can definitely be said for the great leather goods makers at Brothers Leather Supply Co. Given my Michigan roots, I’m always so pleased to be able to support homegrown brands that make high-quality goods with plenty of versatility and handsome style in mind – Brothers Leather gets it right on multiple fronts. I’ve found that to be true with the gear I’ve tested out – and traveled with – so far, and it’s always a treat to stop in and catch up with the brand. A heads-up: Among the company’s other wares, canvas bags are coming soon. In the meantime, I’d highly recommend you grab a unique leather growler before this fall comes and you need to dress for your next tailgate. Now, all that menswear shopping left us pretty parched – so a stop at Brewery Vivant was in order (after we polished off a Bloody Mary at Grand Rapids Brewing Company first, of course). Stopping at Vivant is always a highlight of any trip to Grand Rapids, and I can’t pass up sipping on an essential, easily drinkable Farm Hand (brewed on-site). The frites and beer cheese are must-haves, as well. Oh, and the reverent vibe – it’s a former funeral home and chapel – adds to the religious aura of the company’s beer (I’d say). In short, it was a great first stop and got us ready to check out the neat interior of Creston Brewery, a converted furniture showroom with plenty of colorful artwork on its walls. That the brewery does a nice job with unique beers – including one made with Michigan blueberries – is pretty cool, and its empanadas are a great afternoon snack. Because no trip to GR can end with just two breweries, I was glad I bundled up for a quick stop at the industrially appointed Greyline Brewing, followed by some excellent pizza – and a killer double IPA – at Mitten Brewing (seriously …. Order that pizza, folks). And lest we forget the city’s ever-growing beer scene – it builds up seemingly by the day – a stop at the Grand Rapids outpost of Atwater Brewery was in order to end the night. They make a heck of a hot dog, and they can do a spiced IPA (the Car Bomb IPA) with the best of ‘em. Oh, and the most crucial part about the day – I didn’t need to change my rugged leather boots or switch out of my plaid flannel shirt the whole way through. Tough essentials to fight the cold. Faux Shearling Aviator Jacket by Johnston & Murphy. Snowbridge Cardigan by Eddie Bauer. Buxton Boots by G.H. Bass. Calypso Watch by MVMT Watches. Ranger Gloves by Grifter Company. Cap by Everlane. Messenger by Brothers Leather Supply. Sunday dawned chilly and cold once again, bringing with it the end of my weekend trip – and a quick stop to see my two new nieces (congrats to my brother Nick and his wife, Chelsea!). It was astounding how well the timing of my trip worked out – doesn’t happen every day, for sure. While my menswear was definitely not the most important part of Sunday, I still layered up with my Eddie Bauer Snow Bridge Cardigan, my trusty Johnston and Murphy Faux Shearling Aviator Jacket and yet another Flint and Tinder Marled Long-Sleeve Henley. Crucially, I accessorized with the durable MVMT Watches Calypso Watch. Plus, a pair of refined-yet-casual Abercrombie and Fitch Flannel-Lined Chinos perfectly complemented my G.H. Bass Buxton Boots. For two flights and some cold-yet-relaxing time beforehand in Grand Rapids, the combo proved warm, stylish and easy to layer for travel. Luckily, I kept busy on the road with the latest edition of Gear Patrol – as we discussed in my roundup of the best men’s home goods, that magazine is packed full of beautiful photography, great writing, excellent stories and the spirit of adventure to which we should all aspire. If you couldn’t tell, I’m quite the fan. Although this weekend proved a whirlwind, it really was filled with the best things. Between incredible – yet too-brief – time with family and friends to the chance to shop great menswear and enjoy craft beer and outstanding cuisine in one of my favorite cities, it was a total treat! So, the next time you travel from chilly locale to chilly locale, pack your gear in a stylish weekender bag, bring your favorite pair of leather boots and layer up with rugged winter essentials like a henley and a shawl cardigan. Oh, and enjoy a beer or two for me. For now, I’m back in New York City and getting started on a busy week – but I’ll have fond memories of this trip back, and I’m plotting a return soon! To my friends and family in the Mitten – see you soon! To all you Style Guide readers …. December 14, 2016 November 30, 2016 by Beau H.
A neat array of home goods from Friday & River on display, including excellent candle and planter options for your home. Photo courtesy of Friday & River. Editor’s note: Stick around to catch up on the last entry in our Style Q+A series. Here at your favorite neighborhood menswear blog — The Style Guide, c’mon guys — there’s inspiration to be found everywhere in terms of men’s style. And as we’ve often talked about when it comes to style upgrades, there are a lot of different things, some small and some large, that go into developing and refining great personal style. From how you buy and wear your favorite chambray shirt to the type of classic leather boots you put on every day, style is certainly an ongoing process — and that includes the things that surround you in your daily home life. Whether we’re talking a refined-yet-rugged candle or a neat planter, there are chances to put a bit more thought into nearly every aspect of your routine and the design of the spaces in which you live and work. Not to get all philosophical but… it makes a difference! And the small team at Friday & River approaches its work with all those small details and the process of excellent design in mind — that’s great news for you and me both. And when you learn more about the San Diego-based husband-and-wife brand, you realize that yes, even the unexpected items — like your leather wallet or your everyday belt — can make a big difference in the way you live your life. In discovering the brand and trying out its “Yuzu and the Sea” candle and a lovely white, leather-wrapped planter over the past few weeks, I found that I appreciate having subtly stylish goods around my Brooklyn apartment (small as it might be). And hopefully, you’ll give the brand a try for yourself — shop around at Friday & River, and learn more about what makes co-founder Joe Freitag tick. Without much further ado, check out the latest Style Q+A . TSG: Tell about the start of the brand and your initial idea for it? F&R: Friday & River is very much a collaboration between my wife Yumi and I. We have both worked in design or branding for brands like Levis, Burton, Luxottica, to name a few, and discovered the world of high-quality handcrafted leather goods while we were living and working in Tokyo. Inspired by the dedication to craftsmanship, minimalism and attention to detail, we learned the craft of leatherwork and started designing and making our own items as gifts for friends and family. Eventually we began selling our goods under the name Friday &River, which is derived from our last names – Freitag meaning “Friday” in German, and Kawamura meaning “Big River Village” in Japanese. A lineup of items from the brand’s very sharp “All-Black” Collection. Photo courtesy of Friday & River. 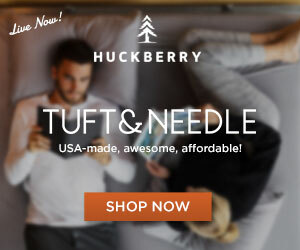 TSG: You feature a wide range of product categories on your site — why is it important for a guy to take an interest in home design and other areas outside of just menswear? F&R: I think most guys who pay attention to what they wear also consider their living space as an extension of their personality. Increasingly, when people spend their hard-earned money on something they are seeking items with purpose, or add a sense of joy and warmth to their lives. That way of thinking is one of the cornerstones of Friday & River and why we strive to make meaningful items for different aspects of a person’s life. TSG: If you had to pick out one item from the Friday & River site for a guy to buy, what might it be? F&R: I think there’s something very personal about a man’s wallet. It’s the one item that he’ll often carry with him every day for years, reminding him of where he’s been and where he’s headed. A well-made leather wallet can be handed down for generations. TSG: On the style front, what’s an essential every guy should have in his closet? F&R: Now that cooler weather has settled in, there’s something very satisfying about putting on your favorite watch cap. (Editor’s note: Head here for a few stylish winter accessories picks from 2016). TSG: You post studio playlists on your blog — how does music inspire your design work, and what have you been spinning lately? F&R: Music is a constant in the Friday & River workshop. It is the soundtrack to our work-whether it be design, production or day-to-day tasks, so we like to share that soundtrack on our site once in a while. We have a pretty eclectic taste in music, but you’ll typically hear a lot of classic soul and funk because it keeps the energy flowing, especially when we’re in production. Want more from Friday & River on the daily? Follow along with the brand on Instagram and Twitter. November 29, 2016 November 29, 2016 by Beau H.
Editor’s note: Thank you to Men’s Wearhouse and the Men’s Health MVP Network for sponsoring today’s post. Thanks for reading! On the go with a comfortable, slim-fitting and flexible suit from the AWEARNESS Kenneth Cole line. Denim shirt C/O Forever21 Men. Plaid wool tie and patterned pocket square by Ties.com. Waterbury Chrono by Timex x Red Wing Heritage. If you follow along with The Style Guide on Instagram or Twitter — or peruse many of this site’s rugged fall style posts, you know that it’s not too often that I suit up. But when I do throw on a shirt, tie and a slim-cut suit, there’s no question that I want that suit to fit, look and feel great. That’s what’s so refreshing about the AWEARNESS Kenneth Cole collection, and that’s why it was a treat to partner with them on this post via the Men’s Health MVP Network. Lest you think we’re throwing out all of those rugged, casual menswear tips and starting from scratch, fear not — there’s plenty more where that came from. But I know that I’ll certainly be more inclined to suit up thanks to the comfort, technology and attention to detail in the new AWEARNESS Kenneth Cole line (sold exclusively at Men’s Wearhouse). The line features the brand’s AWEAR-TECH technology, part of a larger line featuring the brand’s patented 37.5 technology. It’s a run of tailored clothing — from dress shirts ($89) to full suits, as seen here ($649) — made to remove moisture when it’s hot, and retain warmth when it’s cold. In fact, technology in the suit is made to remove sweat before it even forms. Sound too good to be true? Well, stay with me. It’s performance sports fabric with a tailored touch, perfect for today’s fast-moving menswear world. Yes, the AWEARNESS Kenneth Cole line is definitely made with performance in mind, and that’s what makes it such a great fit for my lifestyle. Between my day job and dashing around town to events in NYC, I value comfort, performance and sharp looks. The AWEARNESS collection nails that balance nicely, as I found out while exploring some of my favorite haunts in Brooklyn, particularly the delicious Fawnker for an essential weekend Bloody Mary. The suit is lightweight, moves easily and is very comfortable — all huge bonuses. Just the right combination for a Sunday Bloody Mary at Fawnker in Brooklyn. Denim shirt C/O Forever21 Men. Plaid wool tie and patterned pocket square by Ties.com. Colorblocked socks by Richer Poorer. 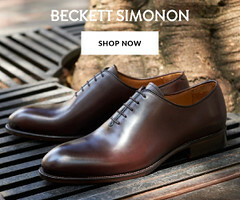 Leather chukka boots by Beckett Simonon. Waterbury Chrono by Timex x Red Wing Heritage. Glasses by Frameri. The AWEAR-Tech Suit in particular is the type of easy-to-wear, versatile suit that pairs crisply with a denim shirt and a wool tie for essential fall style — I’d recommend you add a dash of timeless appeal with classic leather chukka boots and a rugged leather watch. Of course, there’s more than style and performance woven into the collection. One percent of all everyday gross sales will go toward Hire Heroes USA and Help USA, both organizations that benefit military veterans with a variety of services and help them transition back into the workforce. It’s an admirable cause that blends great style with community engagement — and who doesn’t love that? You can pick up items from the AWEARNESS Kenneth Cole line exclusively at Men’s Wearhouse — and I’d suggest you do so before your first holiday party or a big business trip, as there’s no other suiting that can keep you cool under pressure … and support a great cause in the process. Shop the AWEARNESS Kenneth Cole line now. Thanks again for reading! November 21, 2016 November 29, 2016 by Beau H.
Editor’s note: To check out more northeast travel style, click here. The right gear for a rugged fall day. Faux Shearling Aviator Jacket by Johnston & Murphy. Wool Shirt by Abercrombie and Fitch. Slim-Fit Tapered Leg X-Series Denim by Dickies. Sutter Boots by CAT Footwear. North Fork Leather Fedora by Goorin Brothers. Glasses by Frameri. If you’ve been following along with us at The Style Guide in this grand fall #menswear adventure, you know that I love to travel. It seems that theme has come up quite a bit, but there’s something about certain times of year — especially fall — that I associate with great vistas and great travel. Be it heading northeast to Providence to see an all-time favorite band (that would be Local Natives) to stopping through my home state of Michigan last month, this season has been a terrific time to hit the road with my favorite menswear gear in tow. And in the case of this past weekend, that took me to the lovely upstate town of Hudson — it came highly recommended to me via my good friend & fellow blogger Alex Luckey, and seeing as I’m never one to pass up a chance to get out of the city and relax, I had to do it. How does one travel in style from NYC to a quiet town of about 7,000? I set out to do just that. More fall exploration around the rustic outskirts of Hudson. Faux Shearling Aviator Jacket by Johnston & Murphy. Wool Shirt by Abercrombie and Fitch. Slim-Fit Tapered Leg X-Series Denim by Dickies. Sutter Boots by CAT Footwear. Tweed Ripley Cap by Kangol. Glasses by Frameri. Now, I had traveled upstate on a Memorial Day trip earlier this summer, but Hudson presented its own set of challenges. It was a chilly Friday morning in New York City, and chillier upstate. I knew my Johnston & Murphy Faux Shearling Aviator would more than stand up to a crisp fall breeze — and it did so while providing great value. The fit is relatively slim, but I had more than enough room to comfortably layer my rugged Abercrombie & Fitch Wool Shirt and a trusty long-sleeve henley underneath. The multi-layered combo was perfect for the lovely autumn weather and the quaint, cultured small town of Hudson. For a denim option fit for both NYC and upstate, I grabbed my Dickies X-Series Slim-Fit Tapered Leg 5-Pocket Pant — it’s a comfortable, well-fitting and affordable pair of ringpsun cotton pants with a hint of stretch. I topped the look off with the seasonally appropriate Kangol Tweed Ripley Cap and a pair of seriously tough CAT Footwear Sutter Boots — talk about mixing function and fashion. Of course, I also couldn’t resist the urge to break out a sharp, vintage-inspired North Fork Leather Fedora from Goorin Brothers — it’s a beautiful hat that I picked it up at the brand’s terrific West Village shop at a neat event hosted with Courvoisier Cognac. Now, a wide-brimmed leather fedora might not be for everyone, but it might very well move into my rotation soon. In short, the combination was perfect for a day exploring Hudson. The next time you find yourself moving quickly from one spot to the other, an easy-to-wear leather jacket, layers to combat the cold and tough leather boots are key. Now, what exactly is there to do in a small upstate town? Actually, a heck of a lot. Hudson has quickly developed a reputation as a burgeoning enclave for outstanding arts and culture — the small town plays host to well over a dozen art galleries that display a mix of modern, contemporary pieces and local works. On top of that, there’s a vibrant music and film scene, starting with the reclaimed industrial Basilica Hudson complex, as seen above — the space hosts both experimental music performances and weekly film screenings. Plus, there’s a treasure trove of vintage, vintage-inspired and reclaimed clothing — particularly at Artists and Revolutionaries, seen at the top of this post. And as the city’s cultural scene has grown, a really excellent gourmet food scene has sprung up — that was evident on my first stop of the trip. A quick caffeine jolt was crucial at Rev Coffee, known for its well-curated approach to roasting and pastries. The town’s proximity to the gorgeous Hudson River waterfront is also prime — the scenery and fresh air was much needed coming from the hustle and bustle of New York City. Make no mistake, once you amble away from the water, there are still plenty of places to explore. Part lodge, part bar, part shop and full of rustic, rugged vibes. W.M. Farmer & Sons was nearly worth the trip in and of itself. This stunning outpost serves up home goods, lifestyle wares and a heck of a meal — along with an accompanying hotel. Even in Brooklyn, there’s really nothing like it — and that’s mighty refreshing. With a coffee bar that’s open daily and a strong selection of craft beer and cocktails — including a tasty bourbon-and-cider concoction known as the Bear Trap — you could certainly kill a few hours hanging out in this beautiful space. Yes, with my aviator jacket, tweed cap and rugged Timex x Red Wing Waterbury Chrono, I felt like I fit right in with the location’s old-time charm. Oh, and I’d highly recommend the the Cast Iron Bar Burger if you’re feeling hungry. A delicious gourmet meal definitely called for a nightcap at the neat, eclectic and pleasingly minimal OR Gallery and Tavern, an Iceland-inspired, converted auto garage that serves as a bar, gallery and accessories shop. Their refreshing selection of craft beer was topped only by the night’s festivities — a neat, intimate performance from Nico Turner of long-running, eclectic rock outfit Cat Power. Again, the ambiance was entirely unique for an upstate trip — and my daytime gear took me right on through to a chilly night in style. Enjoying a coffee in the crisp fall air outside the OR Gallery and Tavern. Waxed Cotton Field Jacket by Johnston & Murphy. Striker Sweater by Johnnie-O. White Oxford by Todd Snyder. Kinzie Denim by Mugsy Jeans. Plaid scarf by Ties.com Waterbury Chrono by Timex x Red Wing Heritage. Glasses by Frameri. Cognac Suede Wingtips by Thursday Boots. Even with an active Friday in the books, Saturday called for more exploration yet. Even for a smaller town, Hudson is filled with neat sights around every corner — and when you start the day off with a stop at MOTO Coffee/Machine, you’re sure to fuel up the right way (trust me …. I love my coffee). And luckily, my gear was more than up to the fall weather. I took on a chilly morning with my Johnston & Murphy Waxed Cotton Field Jacket, a heritage-inspired piece with plenty of durability. It layered easily over a slim, soft and comfortable Striker Sweater from the fine prep clothiers at Johnnie-O — don’t sleep on the quality of the brand’s knitwear, as it’s undoubtedly worth the investment. My Ties.com Syracuse Fringed Scarf helped me fight the afternoon breeze, too. And the mix of sporty and heritage gear was offset nicely by a versatile Todd Shelton White Oxford. I finished off the look with a pair of Kinzie Jeans from Mugsy Jeans — they’re cut with room to move, perfect for exploring a hip town in style. They offered a casual contrast alongside my tough, durable Cognac Suede Wingtips from the fine folks at Thursday Boots — they’re a brand-new offering for the company, and they’re worth the purchase. The combination was nicely offset again by my reliable, handsome Timex x Red Wing Waterbury Chrono. As the day presented with it plenty of exploration, I was more than happy to have trusty gear with me for the ride. From a rich coffee to gallery strolling and menswear shopping at the immensely well-curated Mutiny NY, I was more than happy to have the chance to visit such a neat, diverse and thoughtful town on a beautiful fall Saturday. Mutiny NY in particular represented some of the best menswear shopping on the Hudson — we’re talking brands from The Hill-Side to Universal Works. Topping the day off with an excellent mackerel dish at the rustic-yet-refined Fish & Game proved a neat capper to an overnight trip that felt longer, yet moved too quick — isn’t that always the way it goes? Of course, there’s also nothing quite like heading right back into the city and zipping downtown to a buzzed-about concert, right? Mysterious, ethereal Brooklyn-based trio Wet — past openers for personal favorite CHVRCHES — put on what one can only describe as a vibey, groovy show to rival Beach House. That they filled up the sometimes-cavernous Grand Ballroom at Webster Hall is to be applauded — and it was certainly worth the quick turnaround from train station to concert! Crucially, my tough waxed field jacket and durable suede wingtip boots more than fit in with the eclectic style found at a rock conert. Talk about a heck of an end to a great day, and a great trip! 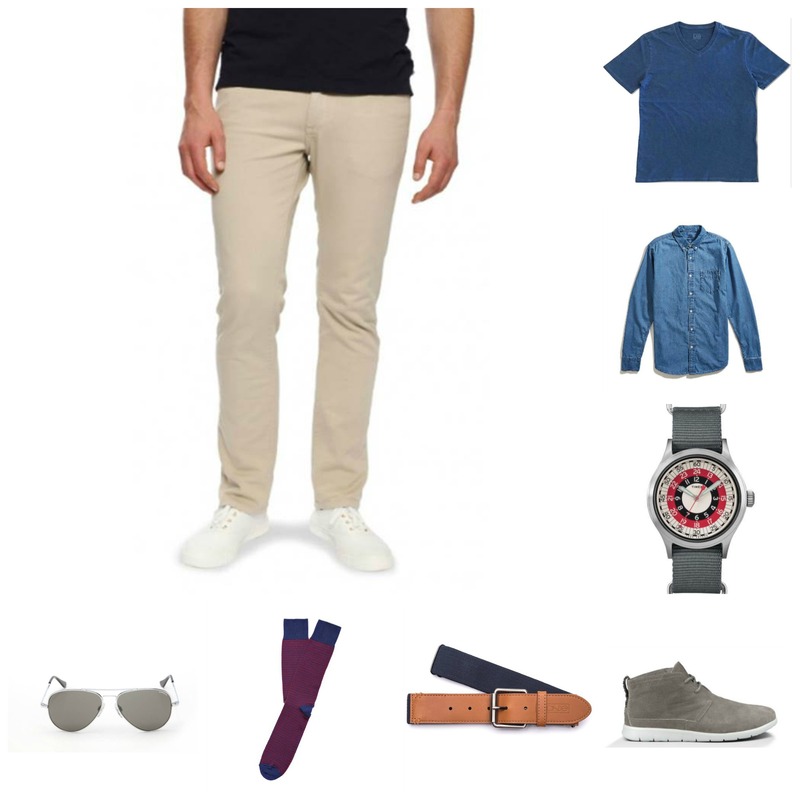 A casual-yet-premium Johnnie-O wool overshirt, sport-inspired CLAE x JackThreads sneakers and tapered FOURLAPS sweatpants — the perfect set of Sunday pieces, finished off with a Club Monaco cashmere hat and the Timex x Red Wing Waterbury Chrono. As with any whirlwind trip, Sunday brought with it the need for some much-needed relaxation time. Luckily, I found my Sunday gear to be on-point all the way through. The team at FOURLAPS makes athletic basics that merge comfort with simple style, and its Rush Joggers are a prime example — perfect for a casual day around Brooklyn, in fact. I paired those up with more easygoing style, starting with the Johnnie-O Pines Shacket, a well-made, soft wool shirt-jacket made from an incredibly soft fabric blend. It matched easily with my Flint and Tinder Marled Long-Sleeve Henley, the perfect seasonal layering piece. To complement a look that was equal parts sporty and stylish, I stuck with my CLAE x JackThreads Strayhorn Mid Sneakers — the grey wool provided a touch of fall-ready textured, and the neat chukka silhouette offered some nice contrast to my tapered sweats. Now, am I saying you should step out for Sunday brunch in sweatpants? Not necessarily. But when the occasion calls for some relaxation and delicious coffee at the likes of Willamsburg shop Homecoming, it’s probably OK.
As with plenty of recent weekend travels, this past weekend brought with it some of my favorite things — a bit of fall travel to an amazing upstate town, a ton of stylish menswear, some delicious gourmet food and a requisite helping of live music. To top it all off with a relaxing Sunday and some Williamsburg exploration was really great — with so many opportunities nearby and just down the road, I’m very thankful to live in New York City. Let’s not forget everyone who reads this blog — thank you! I hope you enjoy reading it as much as I enjoy writing it. I think that’s as fitting a way as possible heading into Thanksgiving. Curious as to what you should wear? Stick around later this week for a Thanksgiving style suggestion. Oh, and in the meantime? Stay stylish! July 8, 2016 July 8, 2016 by Beau H.
Just as it seemed like summer was getting started (what with Memorial Day weekend and all), it now feels like it’s rushing past! Were you on the road for the Fourth of July this past weekend? I took it easy and stayed in NYC, which gave me the chance to visit some excellent menswear shops and check out the truly wild Coney Island hot-dog eating contest — click through this link to check out a rundown of Fourth of July weekend festivities. It was great to be able to take an extra day off and catch up with great friends in the sunny NYC weather, though. A short weekend brings us to the brink of perhaps the busiest week of the summer — the start of New York Fashion Week: Men’s, and a look at what’s on tap for Spring 2017 (truly!) 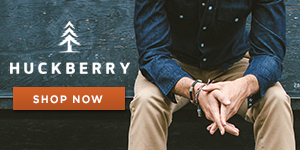 from America’s top #menswear designers. It was a treat to attend various events and shows last year, and I’m looking forward to it just as much this year — that goes for attending trade shows like Capsule and Liberty, which showcase plenty of emerging designers and some Style Guide favorites like Owen & Fred and The Hill-Side. Although high fashion runway shows can get confusing at times, trends seen there can be relatable and useful when showcased by a great designer like Todd Snyder, who always seems to churn out classic style staples with a rugged-refined edge. Given that focus, I’m very much looking forward to seeing what’s in store, and you can follow along with all the action on Twitter or Instagram. It all starts Sunday, so until then, I’ll be looking to get some rest and relaxation. Enjoy the weekend, and the Friday Read! Looking for a glasses upgrade? Worry not. Esquire.com takes you through five affordable glasses brands to know now — like, right now. Just in case you were in need of a new pair of denim (and really, who isn’t these days? ), I’d strongly advise you check out my latest feature on The Manual, covering new Italian-made denim from Mott & Bow — oh, and check back here tomorrow for more on that front. Style Note of the Week: Here at the good ol’ Style Guide, we love a stylish watch. If that fits the bill for you as well, check out a recently launched Kickstarter from Jacopo Dondi, a brand who’s giving traditional watches a run for their money — why’s that? The brand is launching a sharp-looking watch with a 24-hour dial, meant to guide you through your day in a stylish, functional manner. Give it a look if you’re in the market for a new watch (and note that it’s about 50 percent funded already. In need of more men’s style content? It’s been a busy week of writing for yours truly at The Manual — and if your busy week included a hunt for a new T-shirt, look no further than a piece I wrote covering stylish summer T-shirts from Buck Mason. Lastly, I rounded up even more excellent summer T-shirts for GearMoose — all of them are worth a look if you want a tee fit for layering or wearing on its own.